If you look around at the rooftop solar installations, you’ll notice that the solar panels aren’t actually part of the roof — instead, they’re set on structures resting on top of the roof. That seems like a waste of materials. Dutch designer Ruben Beijer from Stafier Holland bv came up with an ingenious design for a new type of rooftop solar array in which the solar panels replace the roof tiles and serve as part of the roof structure. The PV Premium photovoltaic in-roof system seamlessly integrates with existing roof tiles, opening up new possibilities for integrating solar technology with architecture. 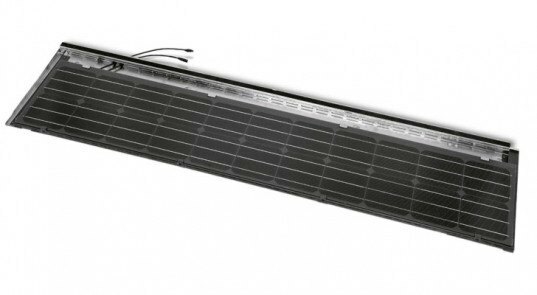 The Stafier Holland PV Premium photovoltaic system doesn’t just look nice, though; the panels perform very well and are durable. The system is waterproof, and it has been tested in a wind tunnel to prove that it can stand up to powerful storms. The PV Premium photovoltaic in-roof system was recently given a 2013 Best of the Best Red Dot Design Award. If you look around at the rooftop solar installations, you'll notice that the solar panels aren't actually part of the roof -- instead, they're set on structures resting on top of the roof. That seems like a waste of materials. Dutch designer Ruben Beijer from Stafier Holland bv came up with an ingenious design for a new type of rooftop solar array in which the solar panels replace the roof tiles and serve as part of the roof structure. 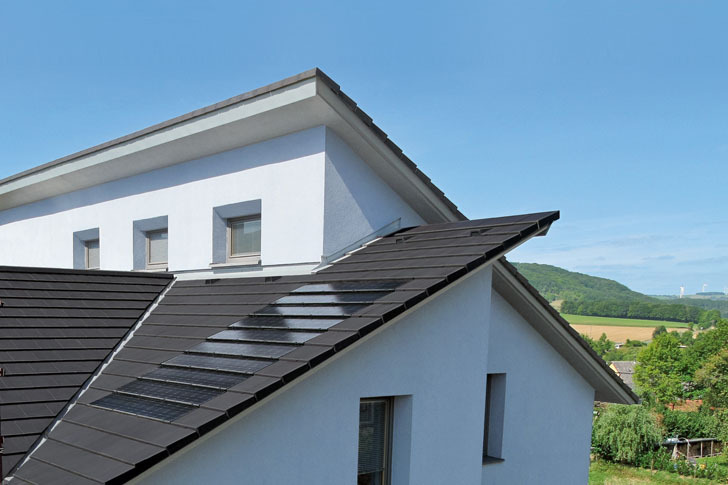 The PV Premium photovoltaic in-roof system seamlessly integrates with existing roof tiles, opening up new possibilities for integrating solar technology with architecture.